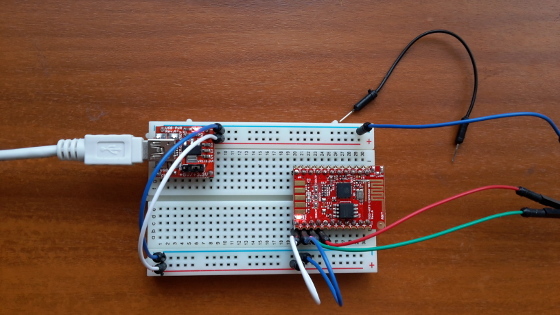 ESP8266 is a low cost system on a chip that runs at 80Mhz and has a WiFi. It is an excellent and affordable solution for home automation. It his tutorial you will learn how to write your first application using C for ESP8266 and to upload it to Olimex MOD-WIFI-ESP8266-DEV. 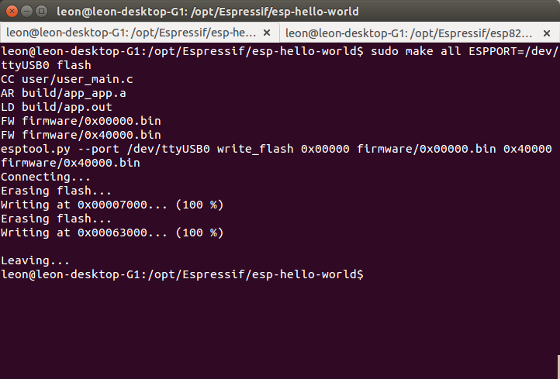 Install ESP8266 SDK following these instructions. 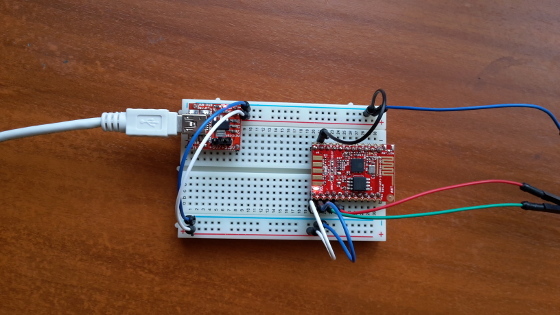 Connect ESP8266 to a personal computer through UART cable, plug a cable from GPIO0 (aka pin 21) to GND and power on ESP8266 to boot it in flash mode. 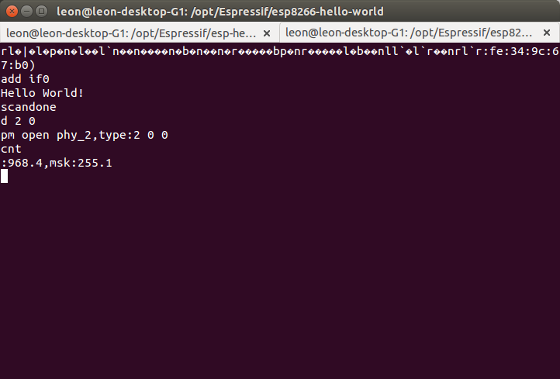 If everything is working fine you will be able to see the output "Hello World" at the terminal on your personal computer as in the screenshot below. For more details please have a look at the README file in GitHub.